JEFFERSON, LA- The murder of Crosby resident Kimberly Oates Grant, 50, was solved by a confession in Jefferson County and on Feb. 29 the suspect was convicted. According to Jefferson County District Attorney’s Office, Royce Earl Davis, Jr. pleaded guilty to the 2013 slaying before his scheduled trial in the 252nd District Court could begin, and he will be sentenced by Judge Raquel West. The penalty is to be from 5 to 99 years or life in the Texas Department of Criminal Justice for the first-degree frelony, according to Assistant District Attorney Luke Nichols. This case was a joint investigation between the Baytown Police Department, Harris County Sheriffs Office, and Jefferson County Sheriffs Office. The victim and the confessed murderer had been in a romantic relationship. According to court statements, on April 19, 2013, after a fight, Davis and an accomplice forced Grant into her car at her residence in Crosby and drove to Louisiana. Some time later, the murderer and his accomplice found a hunting lease off of Tram Road in Jefferson County and she was shot eleven times. A hunting club member found her body the same day she was slain. Victim, Grant, was matched to a missing persons report in Harris County and the relationship was discovered. Jefferson County Sheriffs Office wanted to question Davis. 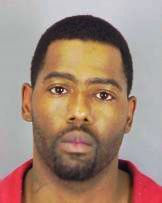 Once detained, Davis confessed to the murder.